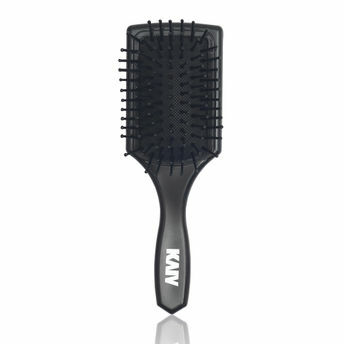 Kaiv Mini Travel Hair Brush provides exceptionally smooth results on the go. It's rounded nylon bristles are best suited for all types of hair, it is light weight and easy to handle. It can be used for a gentle massage on scalp and style your hair perfectly.